Capture the charm of blooming flowers with this lab grown diamond halo ring in 14k gold. 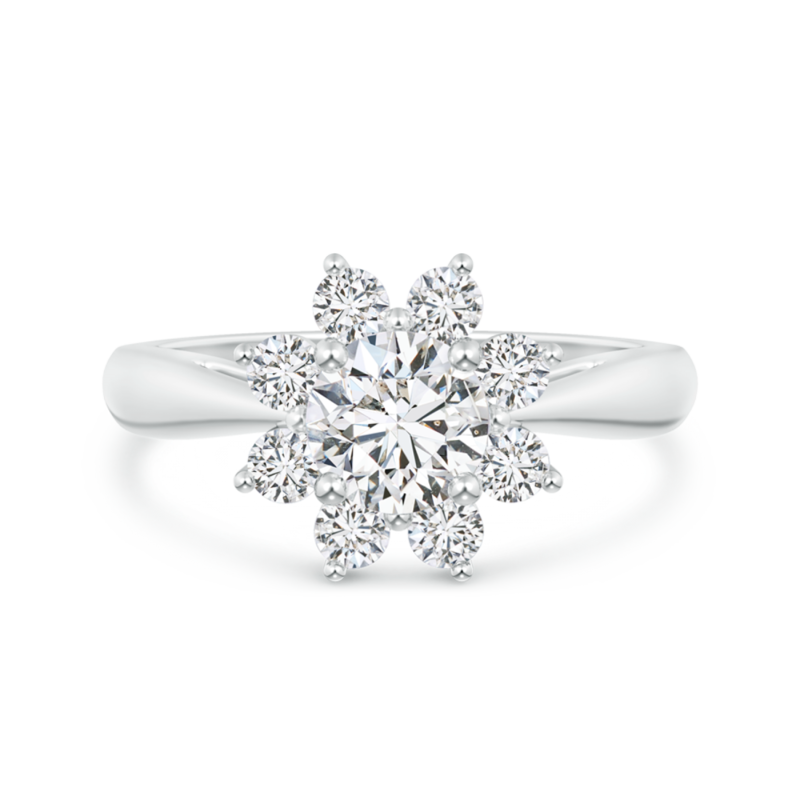 The central round diamond, set in prongs, is surrounded by halo of glistening diamonds that resemble the petals of a flower. Reverse tapered shank lends a hint of sophistication to the design. The halo style made its debut in the 1920s and since then it has been a coveted feature in jewelry designs. A sparkling collection of gemstones wraps around the center stone making the piece look bigger and more alluring. The accent gems flash with light and draw attention towards the center gem. A stunning example of the halo style, this product with halo is perfect for anyone looking at experiencing the magnificent sparkle of halo jewelry.